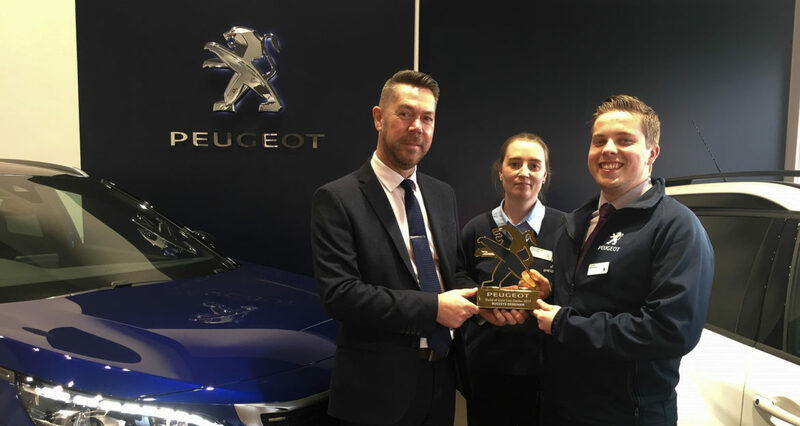 A huge congratulations to our Dereham Peugeot team for finishing 22nd in the UK for Sales and Service in 2017! Our Sales Director got to represent Busseys Peugeot Dereham at the award ceremony held in Newport on the 10th March. He was handed the award by none other than Peugeot’s UK Managing Director David Peel and comedian Jo Caulfied. Here at Busseys, customer service and care is our top priority and that is why we are incredibly proud to be receiving this prestigious award. Here’s to many more years of providing our customers with an excellent service!